Unless you’ve been living under a rock, you know Caesar’s Palace, the legendary Las Vegas casino. Caesar’s Palace is a fixture of the Vegas nightlife and gambling scene, and it is known for its lavish decorations and its Roman themed architecture. It may come as a surprise, therefore, that in 1997, when they needed new columns, they contacted an architectural company from a small town in Northeast Texas: Stromberg Architectural. That is because Stromberg Architectural manufactures some of the finest architectural fiberglass custom columns in the world. Columns are not only iconic of Caesar’s Palace, they are virtually timeless. Nearly every Western civilization has used columns to indicate the significance of a particular building. Greeks, Romans, British, French, Americans, all use columns to great effect in their state buildings and courthouses. Partly, this is due to columns’ architectural function: they can support massive, open spaces. However, with the emergence of post-modern architecture, columns no longer need to serve any architectural purpose, and can exist purely aesthetically as a marker of significance and grandeur. There is no disputing the aesthetic value of classic columns; they have been used for thousands of years, and they will likely be used for thousands more. However, beautiful columns have historically only been available to the very rich and very influential. Fortunately, architectural fiberglass is affordable, available and easy to install. Not only that, architectural fiberglass is actually better suited for our modern times. Architectural fiberglass is resistant to corrosives like smog and acid rain, and since it isn’t porous like stone, it is easy to clean if it is vandalized or carbonized. Stromberg Architectural has used GFRP in many Las Vegas Architectural Projects. Architectural fiberglass is extremely weather-resistant and can stand up to high winds, acid rain and even hurricanes. 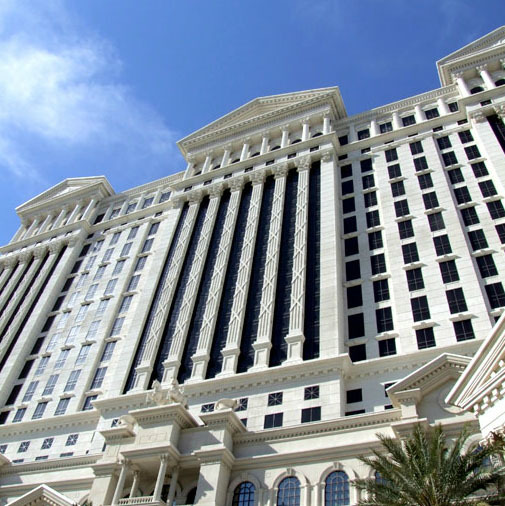 Las Vegas, NV architectural fiberglass, architectural fiberglass in Reno, NV, architectural fiberglass in Carson City, NV, architectural fiberglass in Unionville, NV, Elko architectural fiberglass, Sparks, NV architectural fiberglass, architectural fiberglass in Arden, NV and more.